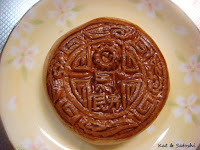 Geppei is the literal Japanese translation for mooncake. When I was in Hawaii, I saw many bakeries and stores selling mooncake, getting ready for the Moon Festival, which I think starts today. 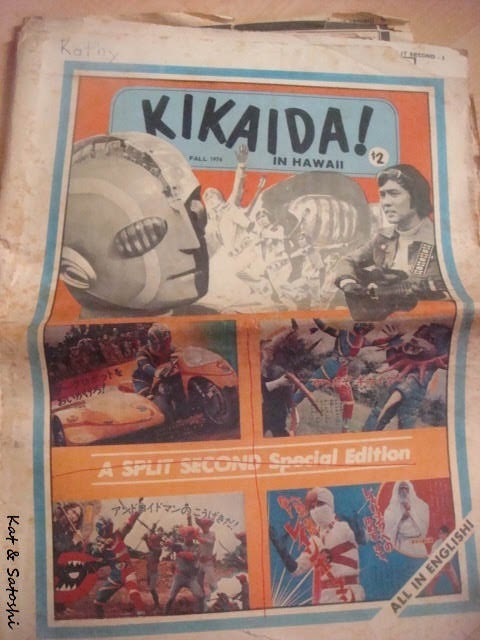 Anyway, in Hawaii, the price for one was kinda shocking...US$4 or $5?! I found one here at the supermarket and apparently they have this all year round. It was a little smaller than the ones I saw in Hawaii and this one was only 69 yen! 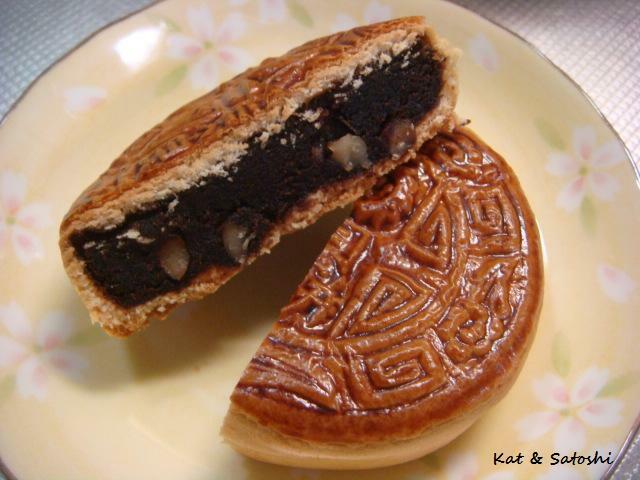 The insides are sweet bean paste and walnuts. 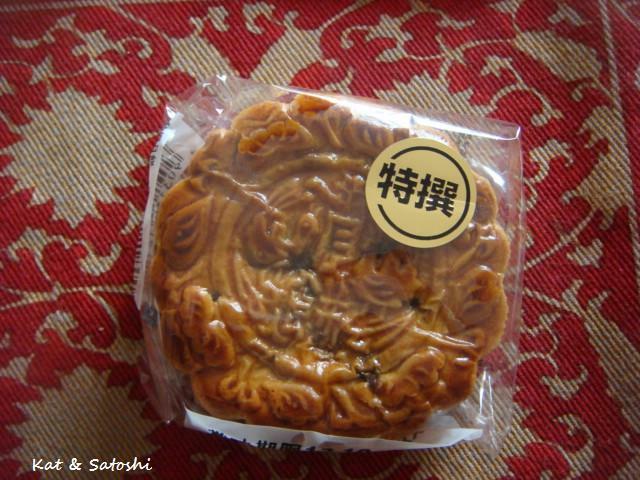 The texture reminded me of steamed manju. Maybe not traditional, but it was delicious. 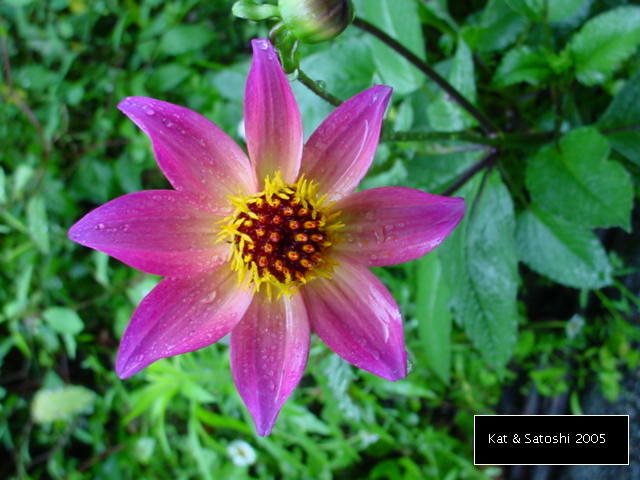 This one was marked "tokusen" or special. I think it was a little bigger and a little fancier than the first one I tried. The price was a little more too at 115 yen. The inside seemed like the same type of filling with the sweet bean paste and walnuts. I had this one with some green tea. Delish! I don't think we'll be able to see the moon tonight because there is supposed to be a typhoon approaching, so if you can see the moon where you are, enjoy it! 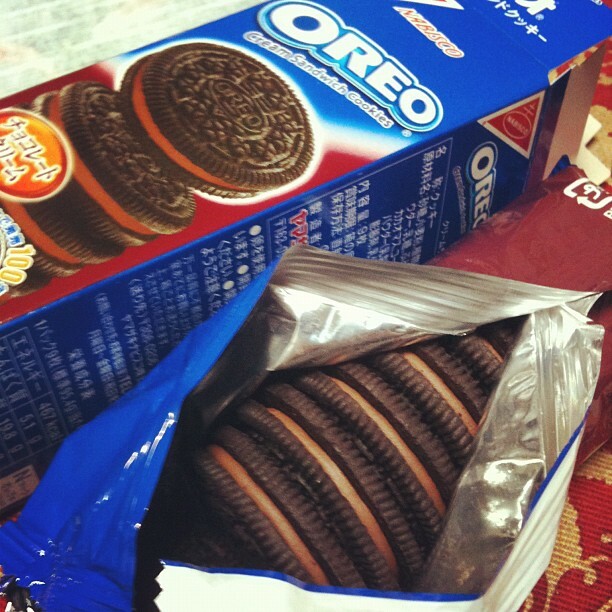 Earlier this year, Oreo in America turned 100. 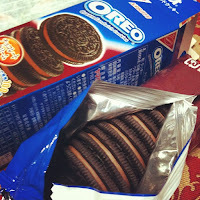 Well, Japan's Oreo is also celebrating though they've only been in Japan for 25 years. They recently came out with a chocolate cream filling to celebrate...whoo! Can you believe it?! Boy, does time fly or what?! I still can't believe I've kept this journal going for so long. 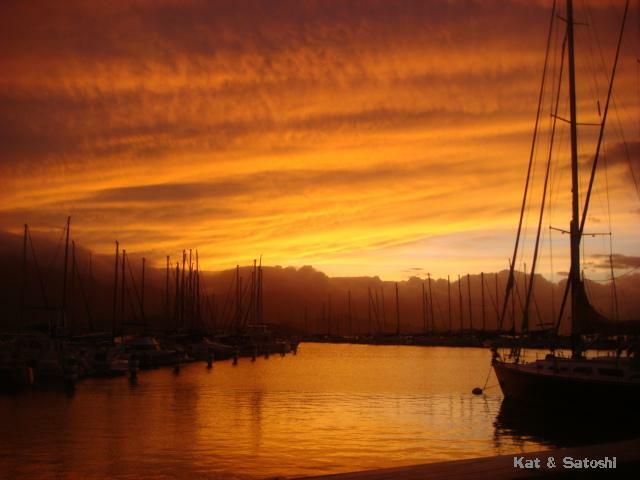 To everyone who reads this blog...THANK YOU! Here's to more adventures in the kitchen and many more travels. p.s. It's Friday (boy did the week fly by too), have a nice weekend! 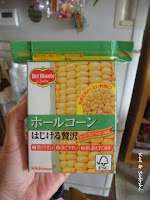 The other day I found this "canned" corn. Dunno which is better for the environment, canned or this type of "canned". At 98 yen for 380 grams, I think this version is nice on the pocket. I've seen beans in these boxes, but this was the first time seeing corn. Are "canned" items cheaper where you live? 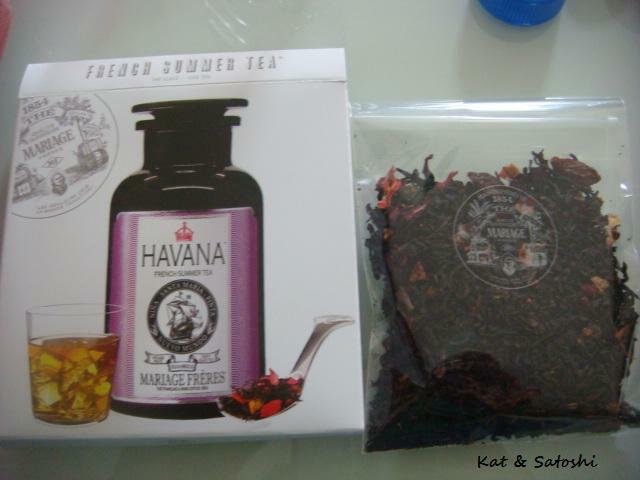 Soon after I left for Hawaii, the postcard for a sample of Mariage Frères' 2012 summer tea came in the mail. 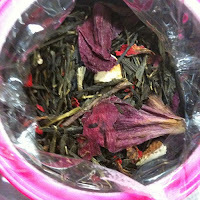 This year's tea is called Havana, a green tea with hibiscus, pomegranate & goji berries. 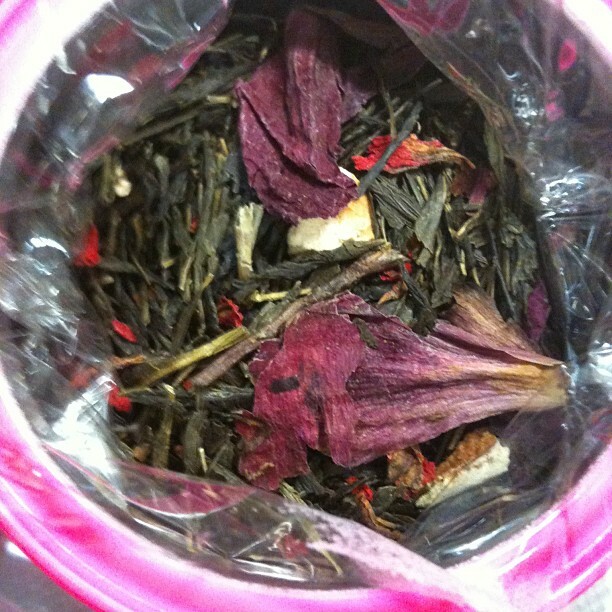 This one is quite fruity, but really refreshing as an iced tea. 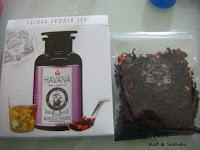 Satoshi was nice enough to go to Kobe and pick up a can of their Happy Queen tea so that I could receive the free sample of Havana. 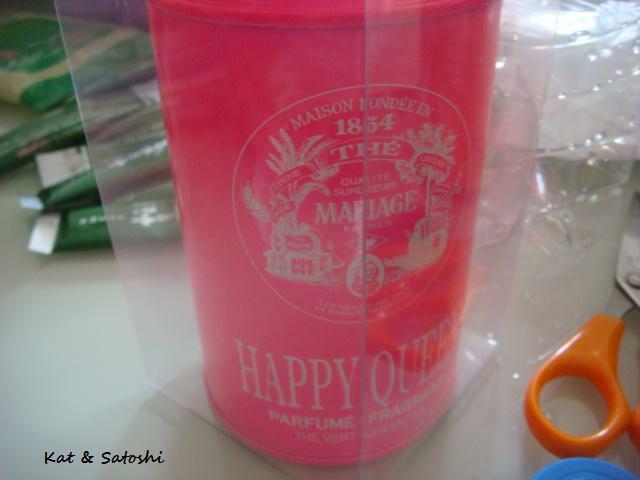 Happy Queen is a green tea base with pomegranate, citrus and peony. Not as fruity as Havana but just as delicious. Gotta love the hot pink tin that it comes in too. Before leaving for Hawaii, I noticed these juice bottles at Seijo Ishii. 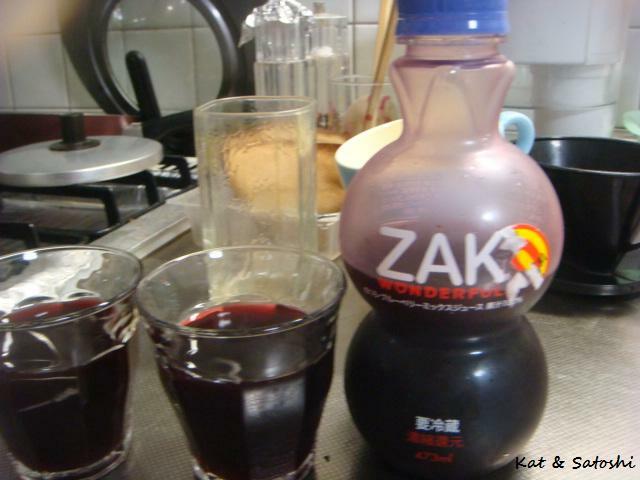 I thought, weird, why would you name a juice ZAK and then I remembered that pomagranate is "zakuro" in Japanese. 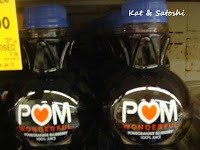 We recently tried the mixed version, pomagranate + blueberry with breakfast...yum! 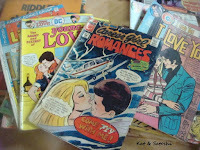 It had been 8 years since we checked out Flat (pronounced eh-flat) Cafe (pre-blog). Since then, they moved the cafe from their spot a couple of streets down and brought it right above their bakery. Pre-blog, they only made 80 rolled cakes a day. Not sure if that is how many they make these days. The cafe traffic was really light, just my friend Hiromi, me and a separate group of women. The curry was way too salty for my liking, but the carrot salad was dressed with a nice citrus dressing, very refreshing. 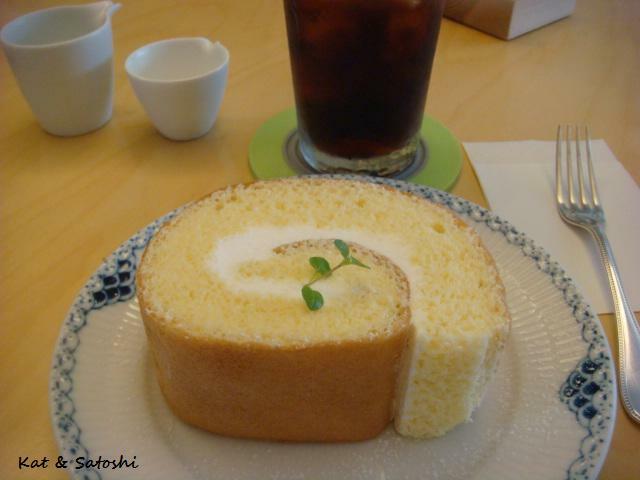 Dessert was a slice of their rolled cake...420 yen. The picture doesn't do it justice. It is 1/3 of the roll! 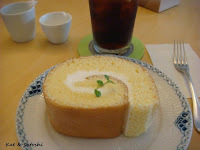 Light, airy, the texture was like chiffon cake and not too sweet, filled with fresh whipped cream. I was happy that they hadn't lost their touch. Don't think I would go back for lunch, but would happily go back for tea time! 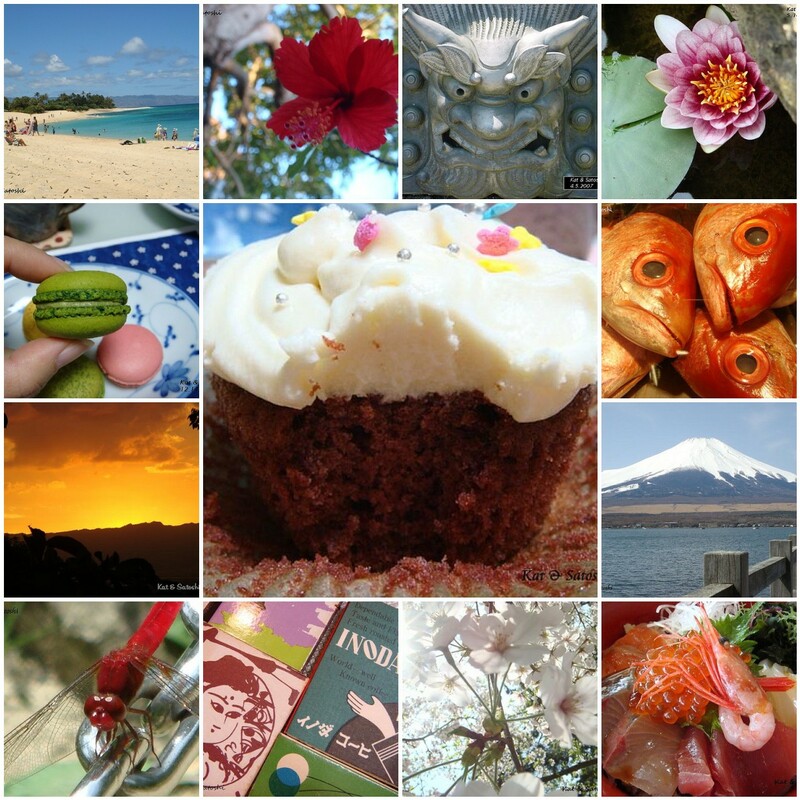 While I was in Hawaii, I had some time to look through different cookbooks. I also had some time to borrow a couple of books from the library. One called "Paradise Preserves" by Yvonne Neely Armitage had all sorts of interesting recipes. 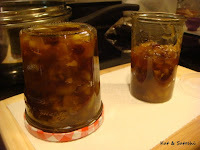 A particular recipe that stood out was her recipe for "Fig Chutney". 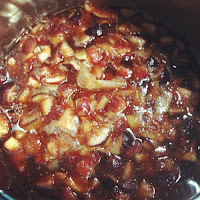 This past week, the weather was crazy humid and hot, but I still managed to make a batch of this chutney. Fig Chutney adapted from "Paradise Preserves"
NOTES: I wasn't too sure what to do with the lemon, so instead I zested it and juiced it. I shouldn't have added the 1/2 cup raw turbinado sugar because my cider vinegar actually had some honey added to it. The chutney came out a little sweeter than I expected, but it was still quite delicious with a steak. Found this recipe by Ellie Krieger in the USA Weekend back in June. I adapted it, kinda "eye balled" some things like the corn and edamame so the measurements are kinda "iffy". 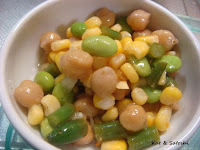 Tastewise, it reminded me of the 3 bean salad my mom makes. Since I used marmalade and not fruit preserves as the original recipe uses, I didn't add the sugar that the original recipe calls for. 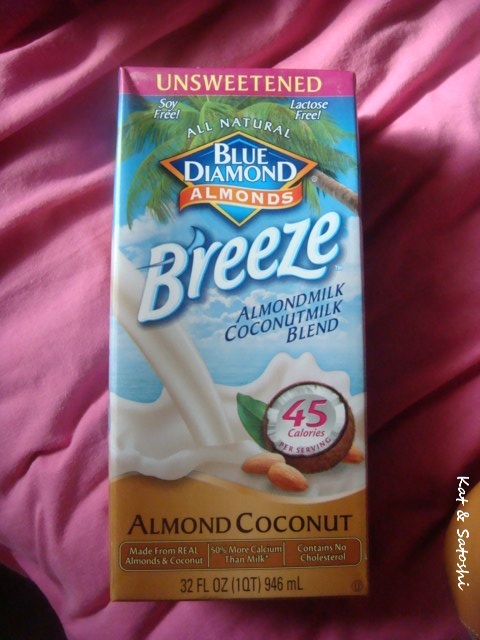 I would make this again, maybe using other veggies and upping the ginger. 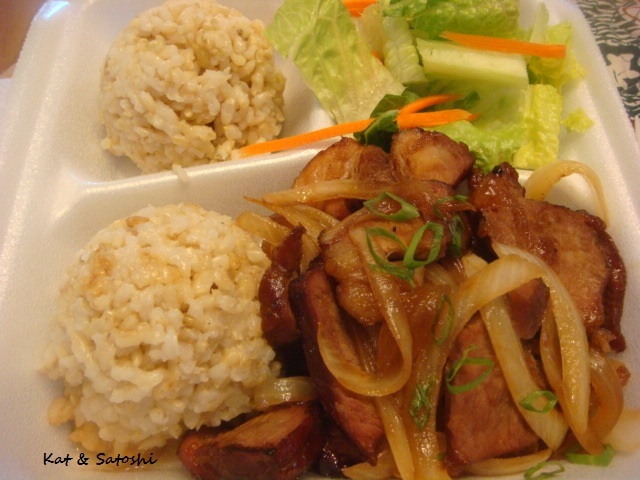 While in Hawaii, an anonymous reader asked whether "no veggies" was typical of bento in Hawaii. "Yes", is what I replied. 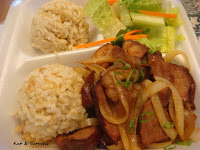 According to Wikipedia, bento in Hawaii started with the plantation days. Since most sugar cane workers were mainly from Asia, rather than sandwiches for lunch, most would bring leftovers to share with each other and eat with some rice out in the fields. Veggies were usually in the form of some type of pickle to withstand the heat of the day. 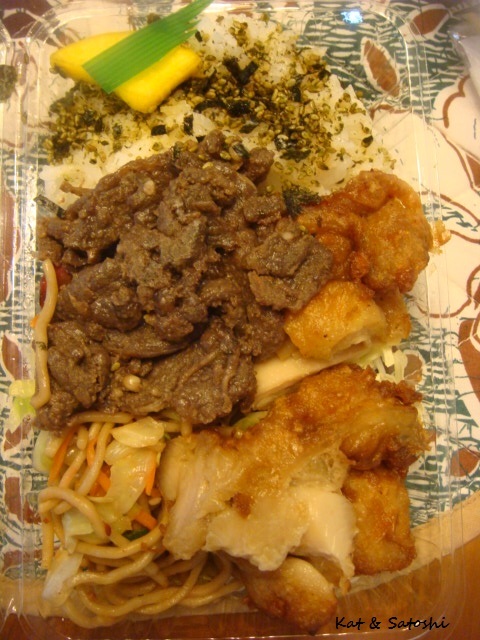 After the plantations closed up, bento could also be seen in the form of plate lunch and were served from lunch wagons (aka food trucks) to mainly laborers and construction workers. 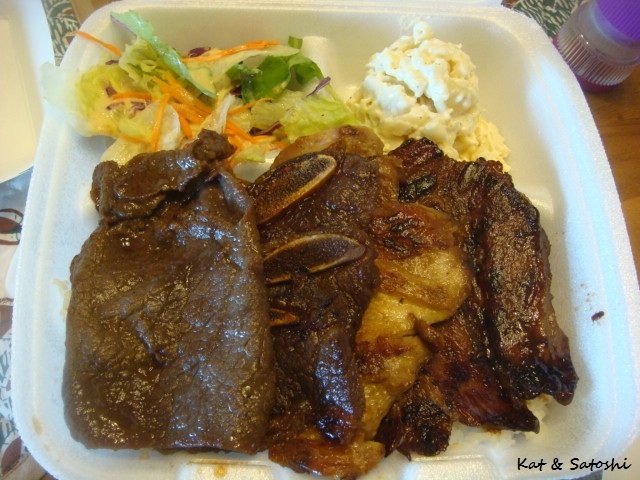 A typical plate lunch in Hawaii would consist of a protein, macaroni salad and 2 scoops of rice. Nowadays, almost any casual food establishment serves plate lunch and or bento. Also these days, tossed salad is an option, as well as brown rice and mini-portions. Though some places "penalize" you for choosing the "healthy choices"--tossed salad & brown rice by adding on an extra charge. Bento in Japan is no different, there are many bento that do not serve veggies, just a lot of fried items, some pickles and white rice. 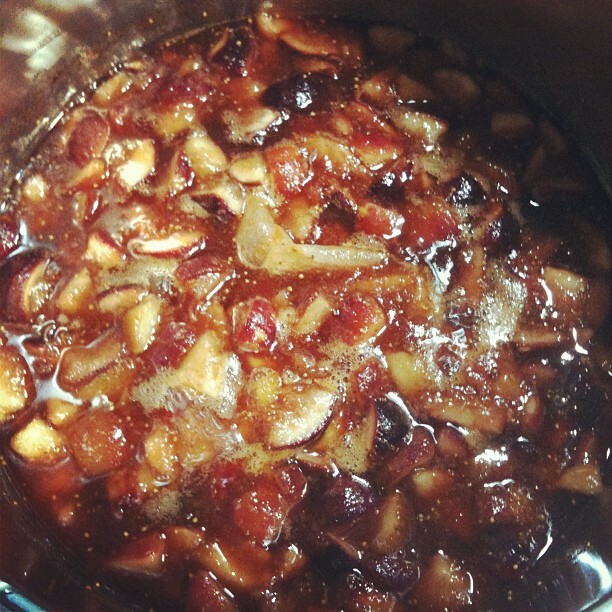 Those that do include veggies have simmered/cooked types like nishime. 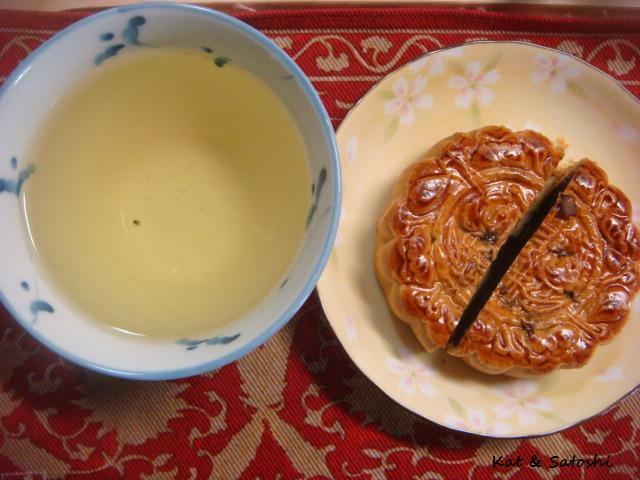 Other items are either cooked or fried to prevent the foods from spoiling. These days, more creativity and more colorful foods are being used. 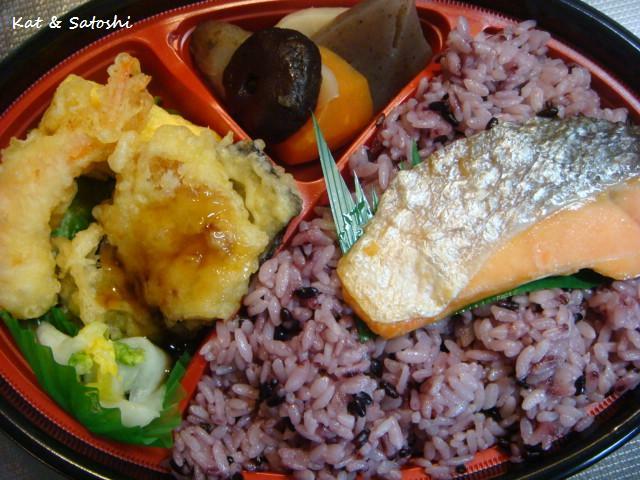 Black rice or purple rice can be seen more readily in Japan these days too. I think the word "bento" is always evolving. It is definitely becoming a household word all over the world. Each country & household making their "bento" their own...definitely a good thing. 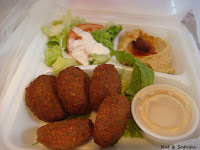 I had wanted to try falafel after seeing it on many blogs. The falafel was quite dry and crumbly while the hummus was creamy. But after eating 2 falafel with some hummus and flat bread, it felt as if I ate a whole bottle of salt! I don't really like to waste food but threw out the remaining 3 falafel. Dunno what I'd try if I go back, so if you know what is good there, please tell me. Also had an an (sweet bean paste) doughnut from Watanabe Bakery (across the Food Court from Mary's). 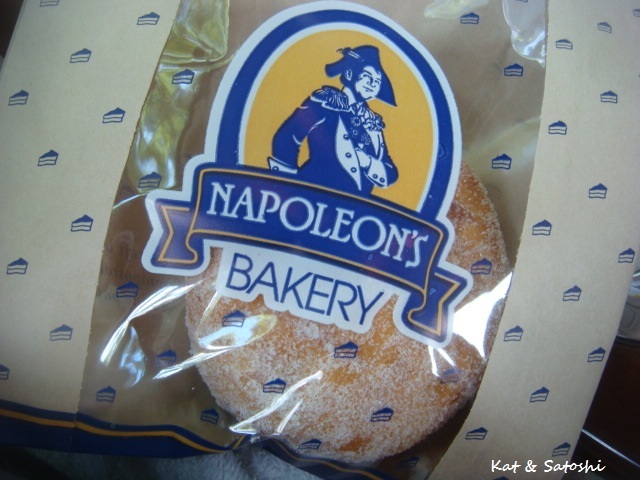 This was WAY better than that malasada the other day...ahem. 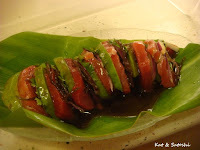 We checked out Tatsuo's during one of our errand running. Located at the beginning of Sand Island Access Road, turn right as soon as you see America Carpet One...or you'll have to U-turn and start all over...trust me, that's what happened to us. A tiny hole-in-the-wall, Tatsuo's has a pretty extensive menu. Mom chose the Tats Teri Plate...US$9.99 + tax, this came with a generous slice of teri beef (it is actually folded into thirds), 3 kalbi ribs, 1 chicken thigh & 1 pork steak. All except the chicken were flavored well. A little on the sweeter side, but everything was moist and tender. Mom says their mac salad was...meh! Definitely a couple of meals from this plate lunch. I chose their Kim Chee Burger...US$3.50 + tax. 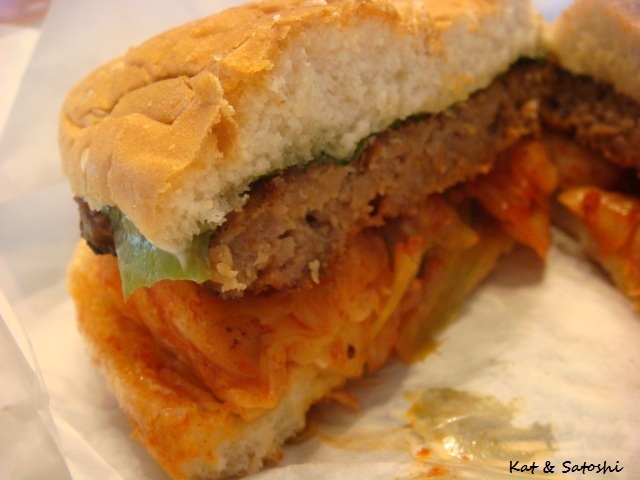 A nicely charred burger with lots of kim chee (which I think was homemade) and a leaf of lettuce...delicious. Despite being hard to find, we'll be back! Everything "liquidy" has to be packed into the bag that you check-in. Everything. So, of course, mine is packed to the gills. So intricately packed to the gills is my bag that I'm pretty sure everything would "fly out" if you unhooked those straps. "They" opened my suitcase, shuffled everything around, even opened my mango chutney. I'm thankful nothing was confiscated. I know, I know, because I headed back to Japan everyone was ready to go on a diet, right?! 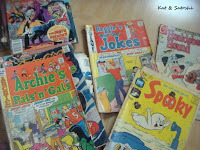 I still have a few more places to blog about so bear with me. I had this deliciously messy chili cheese dog from Sam's Club. 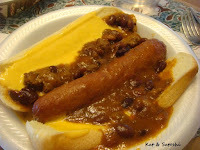 Oozy cheese, the hot dog was a polish one if I'm not mistaken and the chili had just the right amount of kick. 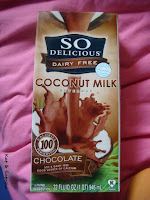 Best part was that it was US$1.99 + tax....mmm! I've said this before, but I started this blog back in 2005 as a way to update my family and friends without overloading their email inboxes. Since then, I am amazed at how many virtual friendships and "real life" ones have blossomed from it. 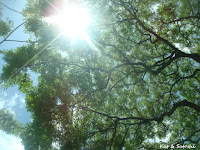 I know when most of us blog, it is mostly on a specific topic and most times we are all still very private about "life". Last August, you may remember I had a medical emergency. Truth is, we were 10 weeks pregnant, unbeknownst to me. Can you imagine finding out in the emergency room?! Unfortunately, it was ectopic and baby had to be removed, so did part of my tube. We were bummed no doubt, because of my age, because having an ectopic apparently puts you at a higher risk of having another ectopic. It was bittersweet because we were pregnant, just in the wrong place. Fast forward to 2012, in February, my mom was diagnosed with pancreatic cancer. Yeah, the things you read online about this cancer aren't too encouraging. I came back in March, thanks to my Aunty's miles, just in time to be with her for her 1st chemo treatment. I gotta say she's always rolling with the punches and tries to always be very positive. After her first chemo treatment, it was hard to watch a "foodie" not be too enthused about food. She still has more treatments to go, her appetite is up and we are still very hopeful. In April, my brother came home to help out. Most times when he has come home it wasn't for a long period of time, so I think it was a good chance for him to bond with my parents. He's now in the process of moving back from the mainland, so it'll be nice to have him around. Then in May, Satoshi had an irregular heartbeat. He was hospitalized for about a week and is now on meds and seems to be okay. He has to watch his sodium intake as well as calorie intake, which makes cooking for him, as well as eating out an interesting challenge. Looking back, talk about being scared! 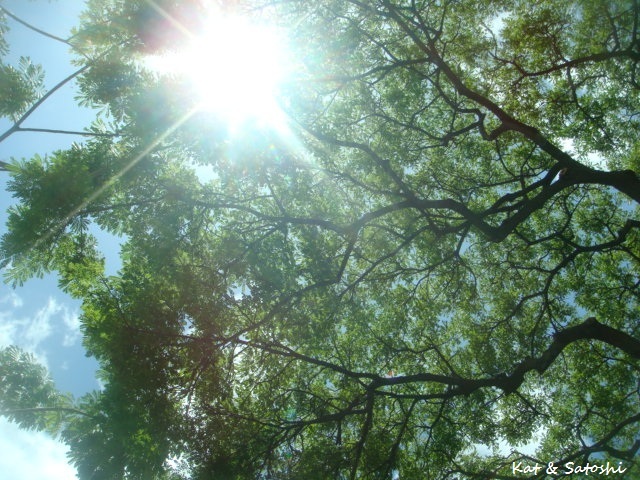 It felt as if everything around me was crumbling. I mean, even if I speak some Japanese, medical vocabulary is rough, even in English, so you know it must've been 10x scarier in Japanese! With everything going on, I was feeling a bit helpless at this point. And then, if that wasn't enough "excitement", at about the same time, my Dad, went in for emergency surgery. Where his abdomen and intestine are supposed to be connected, he apparently was born with a "pocket" and somehow part of his intestine lodged itself into the pocket and caused him lots of pain. The emergency surgery was to unblock the pocket and I think, sew the pocket up so that it wouldn't happen again. To make matters more challenging, he has Parkinson's and was off his meds for close to a month, so I think it had advanced, making his swallowing very difficult and dangerous. Until he can swallow safely, they put in a feeding tube in his stomach and for awhile he had been receiving liquid nourishment and some physical/occupational/speech therapy at a care facility. In July, he came home so we've (Mom and I) been taking turns giving the feedings, which are a challenge because they are about every 5 hours 4 times a day! He was going for rehab to get stronger in swallowing, but he's not back to eating "real food" yet. Every time I've come back to Hawaii, I've slowly noticed my parents getting a little smaller, their meds increasing. Not to mention they move a little slower. It's their little idiosyncrasies that you'll get to see when caring for someone 24/7 and if you don't laugh it off or find ways to relieve the stress, it will probably drive you crazy or eat away at you. I know that aging is something that everyone goes through and that most of my generation is running into having to take care of their aging parents. It is tough watching your parents go through these things and having some roles be reversed. I am thankful I don't have to work full-time, that I can spend the time taking care of my parents, it is the least I can do to give back for what they have done for me. So, this trip home, even if it looks like I've been having fun (and I have had some fun), I've kinda been "working". Having only done this for the past 3 months was pretty tough, I give credit to those who do this type of work full-time. While I was here, most of my days were long starting at 5:00 and ending around 21:30. During the day I juggled things...caring for Dad & Mom (mostly Dad), taking them to doctor's appointments, while also trying to do some of the chores around the house, I usually got to sneak in a nap when Mom & Dad did (though I usually spent my time on the internet...). Though I must add that when we did cook, it was in big amounts to freeze for heating up at a later date. I was torn because I was not taking care of Satoshi while I was in Hawaii, but am grateful that he has been understanding in letting me spend a lot of time here. 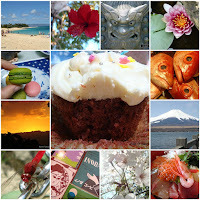 I've also tried to keep blogging, I think writing and photography are some of my passions these days. Even if I wasn't able to comment on all the blogs I read, I enjoyed being able to stay connected to all of you. So, while my blogging is mostly about eating and other random things, there are "real life" things going on in the background too. To say that the past year has been an adventure would be an understatement, and I'm trying to stay positive. I didn't write this for you to feel sorry for me, I don't feel sorry for myself, nor am I angry at the world or the higher powers around us for all of this "excitement" and "drama". I do think writing this post has helped me work through some of my feelings. And I really appreciate all the prayers, emails, comments and words of encouragement, they really brighten up my days. 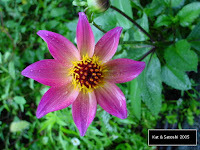 With everything going on in the world, I just hope the remainder of 2012 will be kinder to us all. While I wasn't able to visit nor tell all of my friends what was going on, and while I wasn't able to meet some virtual blog friends IRL (in real life), I am pretty sure when they read this, they'll understand. Talk to you from the other side of the world. Be well, everyone! In Hawaii, when it rains, you will almost always see grandmas wearing these rain bonnets to protect their hair-dos. 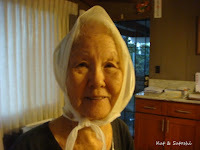 Though I think this is more a cultural thing for the outer island grandmas than the ones on Oahu. My 96 year-old grandma always has one of these in her bag. Always. For those sudden showers that Hawaii sometimes has. Last week, the weather was a little "wintry" in Hawaii. Lots of rain and dare I say a little "cool". Even though the rain stopped and sun came out, Wen and I checked out Shiro's Saimin Haven for lunch on Sunday. Dare I also say that it was my first time there...gasp! 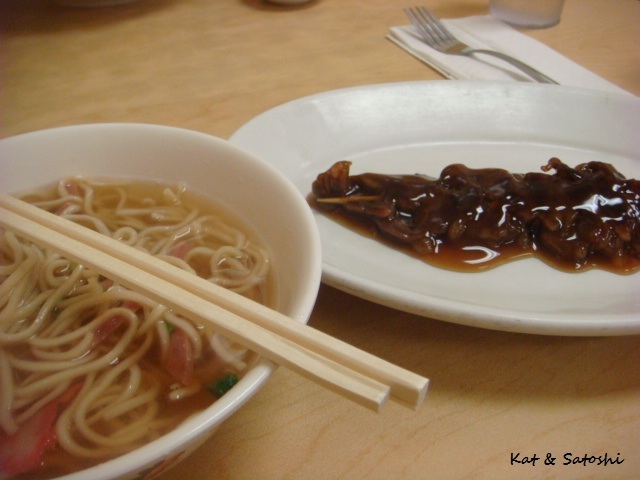 See, after studying abroad in Japan, I used to be a "snob" thinking ramen was "better" than saimin. But after coming back to work in Hawaii, then living abroad in Japan since 2001, I have come to my senses in recent years. 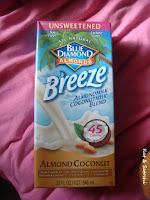 Reconnecting with foods from my past. 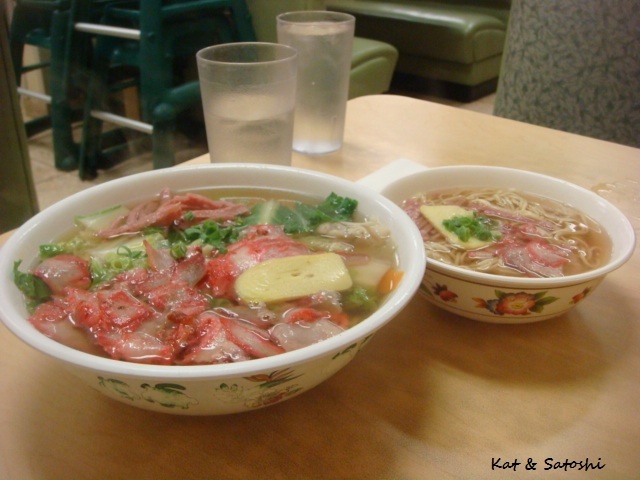 You can't beat the broth, it's neither oily nor heavy like ramen broth can be and has just the right amount of salt. 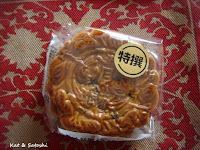 Paired with a teri beef stick (and the won bok from Wen's saimin) this was the perfect comfort food lunch. 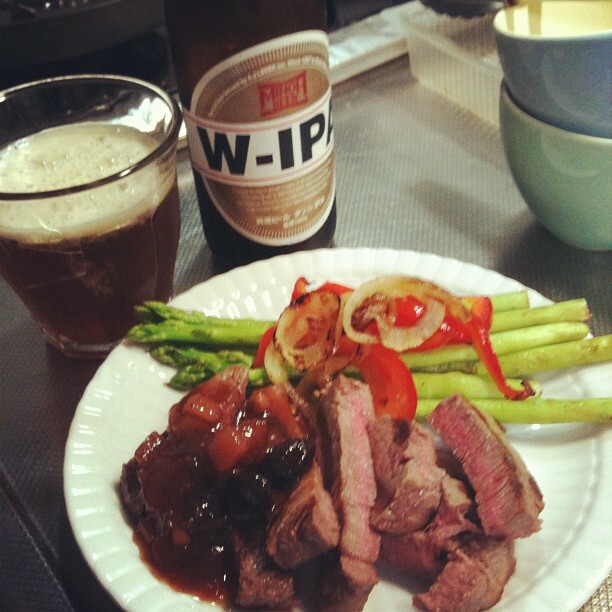 Though the sauce on the beef stick was a bit too sweet and goopy for my liking, the meat was very tender. After lunch, we checked out Zippy's. 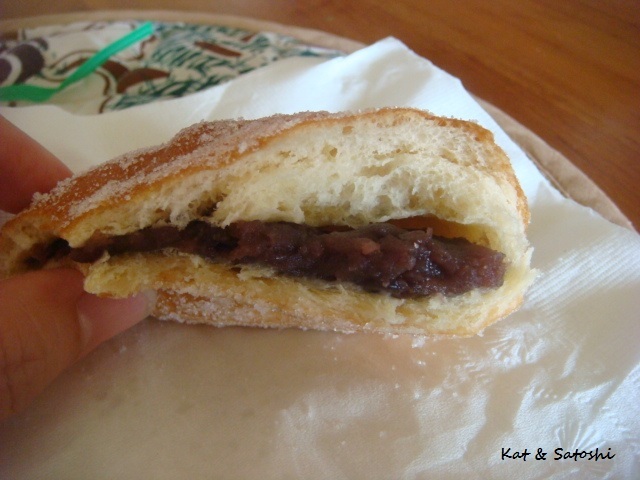 They advertised "made to order" and "hot and fresh" malasadas...pffft! Yeah, I also think there is fine print on that ad. Because the Zippy's we were at had these malasadas in their display cases and I didn't see anything being "made to order". I also didn't ask why they weren't being "made to order" probably because my mouth was wide open in shock as I watched the girl behind the counter putting it into a bag. We also tried their banana andagi which was also advertised on that same ad. Probably because they are stored in that same display case. Plus, the banana was flavoring not real (no flecks). Utter disappointment...I knew I should've stuck to my favorite Champions. Oh well, at least the company was good and weather beautiful. If you like checking out the vendors in Chinatown, but maybe don't like the parking situation there, then check out the Chinatown Marketplace located in the City Square Shopping Center in Kalihi. 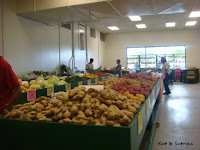 This place opened recently and there is lots of free parking and quite a number of vendors. An eating area is also in the works. There is no main phone line and I think each vendor has their own hours and days off. Lunch from Tanioka's the other day. 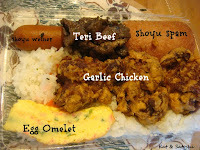 Only US$6.50 + tax for this bento. Some rice with furikake, some fried noodles (with bits of char siu), couple pieces of teriyaki beef (very tender) & a couple pieces of mochiko chicken (very moist). Totally filling and pretty cheap eats. 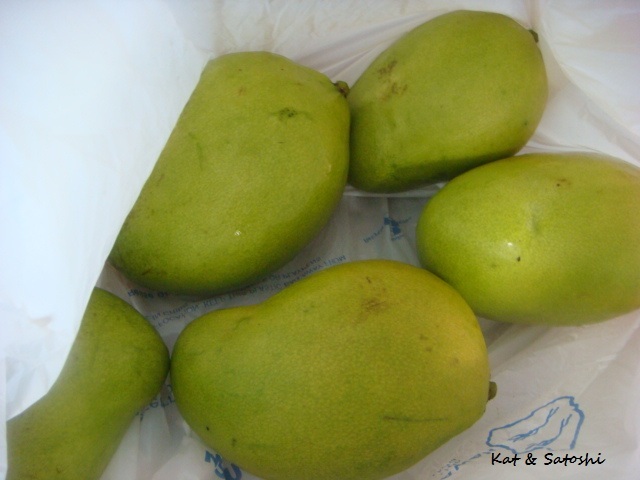 Remember the other day I talked about green mango? Well, another food item we put them in is mango chutney. 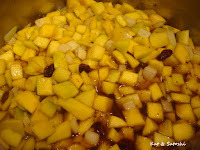 Since I had 4 mangoes left, I cut them up and tried making mango chutney for the first time. The hardest part was peeling the mango and slicing them. After that, I just followed my mom's recipe. So...I added the spices and other ingredients, then cooked everything down for about an hour. The results were pretty good, as I got approval "from the luna (Hawaiian for supervisor)". I ended up with 13 ounces (the Bonne Maman jar) + a little less than 1/4 cup (about half of the furikake jar). 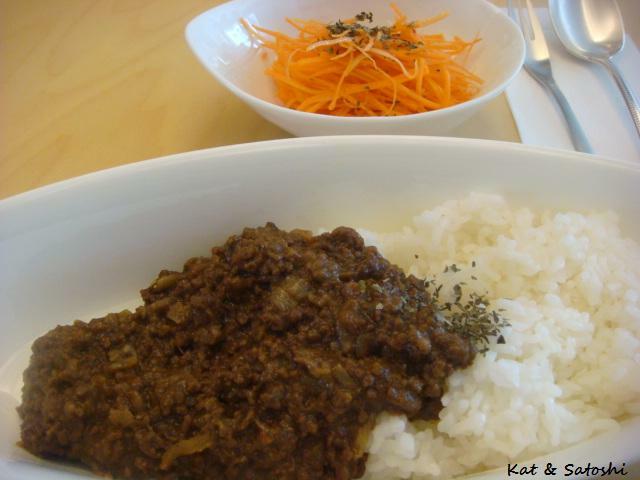 Mom and I tried the one in the furikake jar with some steak. It was a little more jelled than the one my mom makes, but it tasted good. I couldn't believe how easy the whole process was. I'm taking home the bigger jar and can't wait to share this with Satoshi. Did you know it took us 3 tries to get a chance to try Mitsu-ken's? The first time...we went on the day they were closed...no wonder we found parking on the street...ha! The second time...we went on the day that they having construction done on the street in front and weren't gonna have any water, so they were closed...boo! The third time...we went after trying to order take out at another place, only to find out they didn't have what we wanted. So we stood in Mitsu-ken's l-o-n-g line. The line is long because there really is no "shop" to go into, just a cart with hot foods pushed in front of the doorway "creating" an order window. We ordered their Mitsu-ken bento...US$6.25 + tax. 3 generous pieces of their garlic chicken, teri beef, a shoyu weiner and shoyu spam, lots of rice and an egg omlet (that's how it is spelled). A ton of food but their garlic chicken is delicious. Very crispy. Driving home, the garlic smell was strong, but not so overpowering while eating it. Their teri beef was gristly, a bit on the tough side but well soaked. There is no parking unless you find some on the street, but I'm glad we got to try this place. 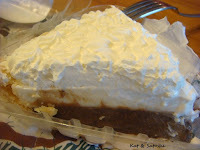 A generous slice of Ted's chocolate haupia pie. Reduced for whatever reason from US$2.79 to US$1. 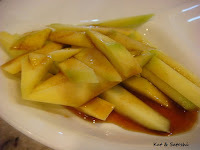 In Hawaii, a lot of us eat green mango as a snack. Some eat it with shoyu, others with vinegar, some both. We got some green mango recently and I needed something for our salad....so I chopped it up and drizzled on some ginger sesame dressing. Wasn't too popular with my Mom, but I liked it. 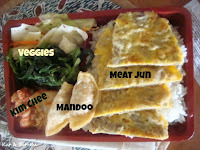 Went back yet again to Palama Market, this time I tried their bulgogi bento, only US$5.50 + tax. The meat was kinda gristly, but the serving was plentiful. Yet again, sour kim chee (boo!) but this one also had some cucumber kim chee which was delicious. Also in the bento were 2 mandoo and some sauteed cabbage. They also have a snack area now, at the back of the store, here you can order plates (even bowls of noodles), which were a little higher priced than the bento. They also have some chairs and tables to eat your food at or sit and wait for your order. 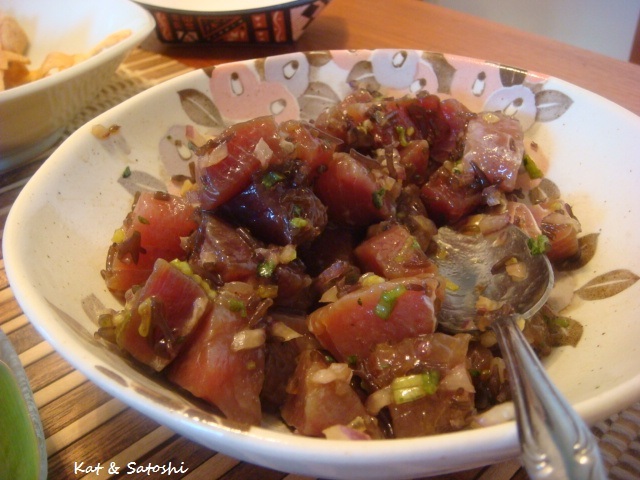 Most of us in Hawaii love poke (po-kay). Pieces of raw fish, usually some type of onion, some limu (a type of seaweed), a little shoyu. There are many variations today, lots include mayo. My cousin P made these two types the other night for our pupu (appetizer). This deconstructed poke, she said she had something similar at Stage restaurant. The sauce for this one was on the sweeter side. Besides the fish, this one had sliced avocado, red onion, cilantro and limu. 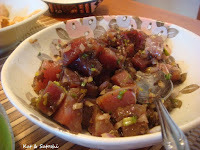 She also made this shoyu poke with a little cilantro, limu and red onion. The seasoning for this one was more standard--not sweet at all. 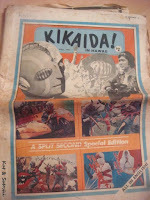 Found this while looking through a cupboard the other day...Kikaida! Growing up, my brother, cousins and I used to imitate and pretend we were these Japanese superheroes! 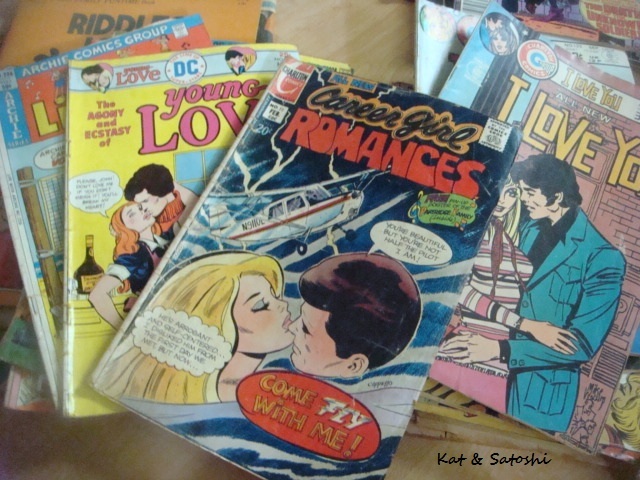 Also came across these comic books. Since my cousin P and her family were visiting, we picked up plate lunches from Queen Street Cafe & Grill for lunch the other day. This time around, I tried their guava smoked pork & onions. Think pipikaula (smoked meat) sauteed with a slightly sweet-salty sauce (kinda like char siu sauce minus the food coloring) and onions. This was good, the meat was tender with lots of flavor though their brown rice was a bit too soft for my liking. By the time this posts, cousin P's vacation will be over, but I hope my cousin and her family enjoyed lunch as much as we enjoyed spending time with them! See you next year P & family! I've been seeing this on the web lately and had to give it a try, I adapted this recipe. Refrigerator Oatmeal : 1 serving adapted from "The Yummy Life"
NOTES: I used this brand of "milk", it is really good, or as the label says "so delicious". Since the milk was already sweetened, I didn't add any honey or any other sweetener to my oatmeal. 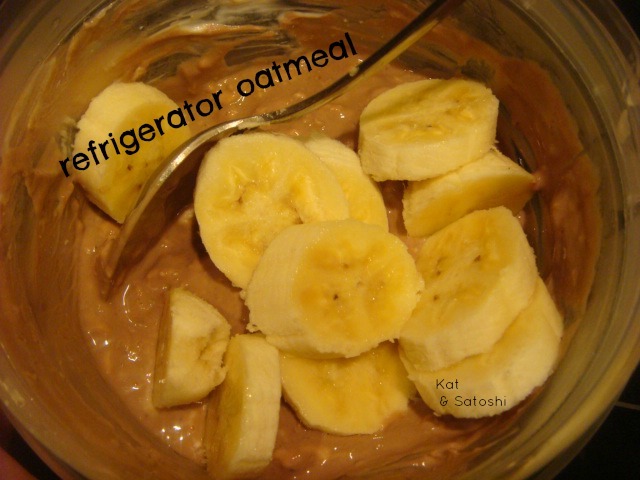 I didn't have rolled oats and just used old fashioned oats. For winter months, warm/hot oatmeal is nice, but for summer this version is good! 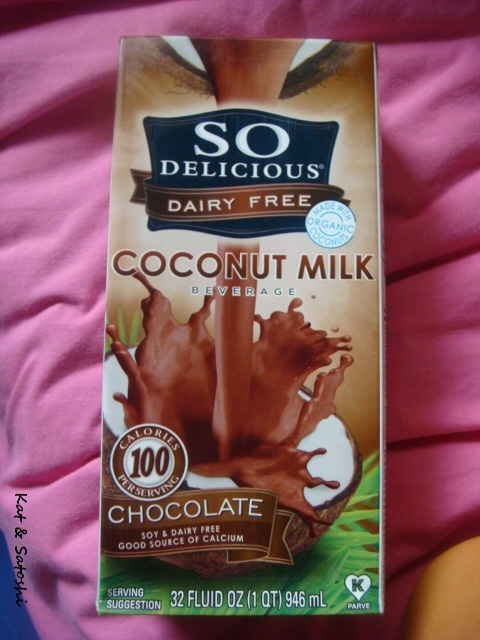 I'm making this again using this Almond Coconut milk (which a reader, Marisa, told me was good)...you know it's gonna be just as good! Went back to Palama Market to try their meat jun bento. 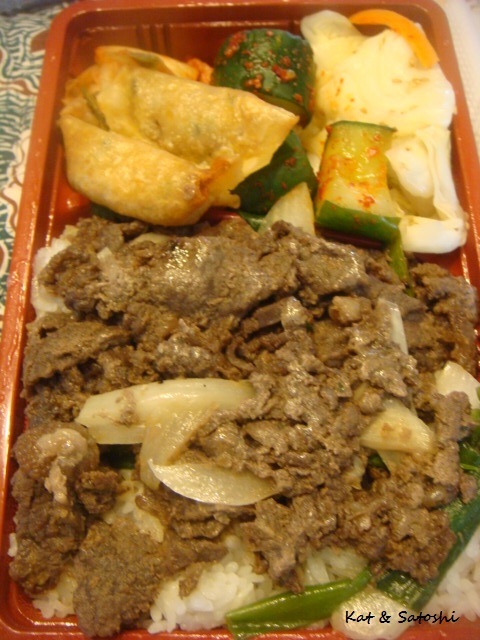 The meat jun was lightly seasoned with soy, sugar and some sesame oil. It came with 2 fried mandoo (potstickers), broccoli rabe (rapini), cabbage and some sour kim chee (blah!). Everything was good (except for that kim chee). Way too much rice for me, lots of veggies and only US$5.50 + tax, a price you can't really find nowadays....true "cheap eats".